Financial abuse is the worst form of abuse for the elder people. Find out why. "Usually, when I write an article, I read articles, research online, check the stats, etc. But this time, the situation is different because this time what I am going to write is straight from my heart." This post is about my best friend Annie’s father who was abused financially by his caretaker Sandra. After suffering a cerebral stroke 2 years back, Annie’s father George’s left portion of the body was paralyzed. Due to work commitments, Annie lives in New York. Hence, it isn’t possible for her to look after his dad 24*7 even if she lived in Nebraska (her hometown). Hence, a caretaker was recruited who could take care of him properly. Uncle George's situation worsened gradually. Annie used to call him regularly, but most times Sandra used to talk with her. In most cases, either her father was sleeping or was not in a mood to talk. This is what Sandra used to tell Annie every time she called him. She had absolutely no clue about what was happening to her dad. Annie got a big hike in December 2016 and decided to move him to New York. She was quite happy since she could at least take care of him on the weekends and decided to give a surprise visit to her dad. She booked her flights and reached home on December 23, 2016. It was her Christmas gift for her father. Little did she know that a terrible shock was awaiting for her. Her dad was in a terrible condition and the caretaker was nowhere to be seen. Annie had informed Sandra about the date of her arrival a week before and she had taken the full advantage of the situation. She has taken all the money saved by Uncle George. He was completely depended upon Sandra - medical appointments, bank related issues, regular activities, etc. His life was in her control and she used this opportunity to steal all his money. She used his debit card and gradually took all the money, approximately $250,000. She shopped using his credit cards and didn’t pay the bill. Plus, she took all the valuable items from the home. It was a series of shocks for Annie. Her father’s health was in a serious condition since he didn’t get proper medical treatment in all those months. Annie filed a police complaint immediately but the damage was already done. Uncle George was in a trauma. He could neither speak nor move properly. Only tears were coming out from his eyes. The worst part of the elder financial mistreatment is the psychological effect. People get traumatized and lose all confidence in themselves. Some get depressed while others suffer from hopelessness. Experts say that some people even become suicidal. 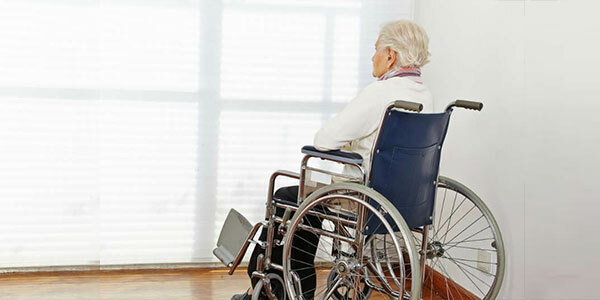 Money loss makes it very difficult to get long-term care. Elder people are left with 2 choices - either they have to compromise on their living standards or on their medical needs. If they choose the former, then their health would get affected. For instance, they may not be able to buy the required medicines that aren’t covered by insurance. In most cases, financial abuse is done by trusted individuals. It includes taking away property, assets, and money without taking prior permission of the person. Even slightest cognitive impairment affects financial decision-making power. It can push a person to financial exploitation. Almost one-third of people aged 65 years and above has cognitive impairment. Undoubtedly, this is a serious concern. Financial abuse is the worst form of abuse since elder people face problems in doing daily activities like bathing, dressing walking without any assistance. Doctors are not sure about the reason behind this. Most elders depend on the fixed income to maintain their health. So probably, financial abuse is reducing the monetary resources that are required to maintain proper health. Please do a lot of research before hiring a caregiver for your elderly parents. Check the caregiver’s identity and references so that there is no chance of getting abused - financially or mentally. See also: Why is there a big communication gap between parents and adult kids about personal finance?